Transport Safety Victoria is excited to be involved in safety management planning for a new autonomous bus trial. Organisers reached out to TSV to ensure the appropriate steps were taken to ensure safety, and we will continue to be involved during the trial. La Trobe University’s Melbourne Campus will be used to test the vehicle, first with a limited proof of concept test (away from other traffic) and then in a real operating environment on the campus. The vehicle will be using GPS coordinates and state of the art sensor technology for detecting people or obstacles on its path. 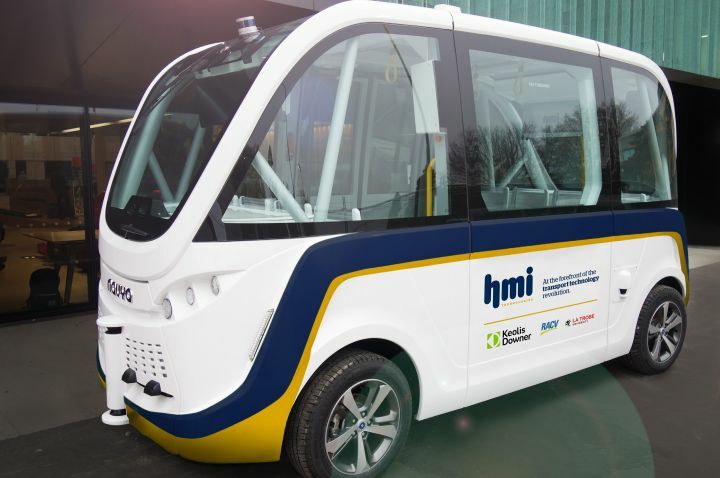 The trial is being run by a consortium including HMI Technologies, La Trobe University, RACV (Royal Automobile Club of Victoria), ARRB (Australian Road Research Group) and Keolis Downer.